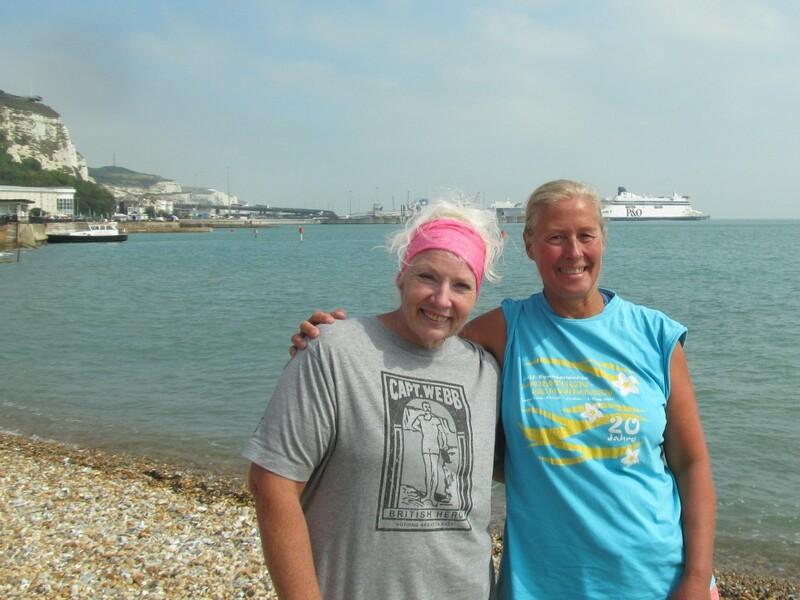 Saturday morning, July 24th, around 7:30 continental time, a swim started on Shakespeare beach that was to hold swimmers all over the world in its grip for over a day: 56 year old Jackie Cobell from London set off with Lance Oram (Sea Satin) and crew for France. It was the end of the neap tides (6 m and 6.2 m), with SW and SSW winds up to 14 knots according to Sandette Light ship. Like so often with slower swimmers, the swim started 1-2 hours before high tide, so the route looks unusual right from the beginning. 13 hours or so later Jackie reached the middle of the separation zone – half way geographically, while the average time for this year’s Channel swims (including relays) so far has been 13 hours 54 min. (last year: 13 hours 15 min)! Even at the next change of tides (after 6+ hours) she was still far from France – many would have given up by now. There was hope she would be able to make it on the next tide – and many of us woke up in the middle of the night around 3 or 4 a.m. to check the AIS-tracking to see if she was still hanging in there – and she was! They were nearing the sandbanks east of Calais, but then the tide carried her back west towards Cap Griz Nez and Calais again. When I got up Sunday morning and checked the internet first thing she was still swimming! When I finally left at 9:30 a.m. for my “long swim” in the Silbersee (only 6 hours, I was so late!) she was still swimming! While I was at the lake I had a good feeling about her. Still, when I came home in the evening and checked the net, I was anxious: did she finish? SHE DID! 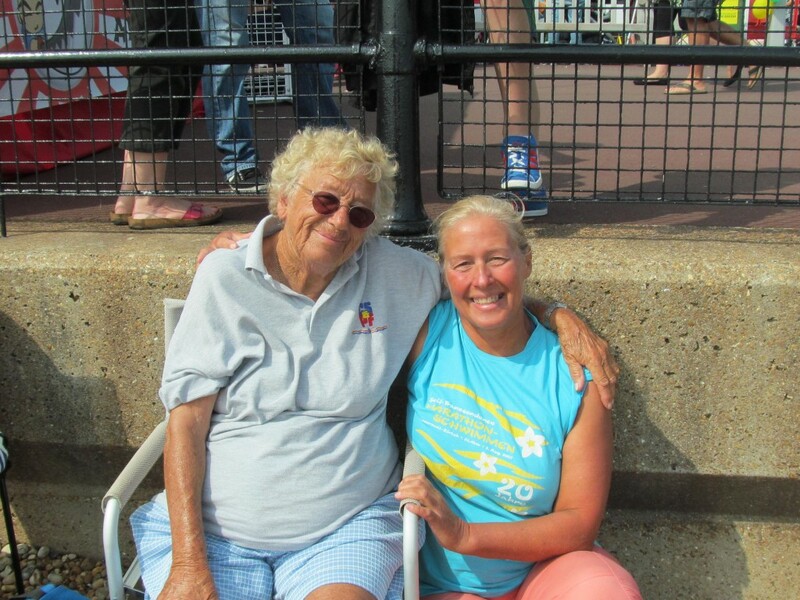 She finished around Sunday noon – after 28 hours 44 min. 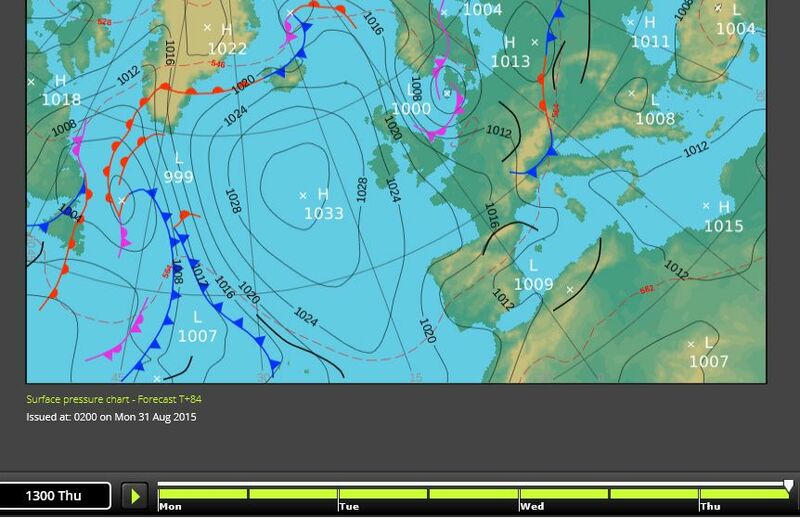 (inofficial) in 15-16 degree water and similar air temperatures through the night and morning! Apparently without ever complaining or thinking of giving up! At the end, when she could almost touch the ferries going out of Calais harbour, it still took her 2 more hours to touch the sandy beach west of Calais harbour at 12:13. Your courage and determination are an inspiration to us all, during the swim itself and during the years you have spent training in Dover. When the going gets tough; when the demons threaten our will to keep putting one arm in front of the other; we just have to remember – Jackie did it and achieved the dream. I confess that when I first met you I had my doubts. I should have known better. More than most, I have a fair idea what you went through and I add my voice to those from around the world who salute you. 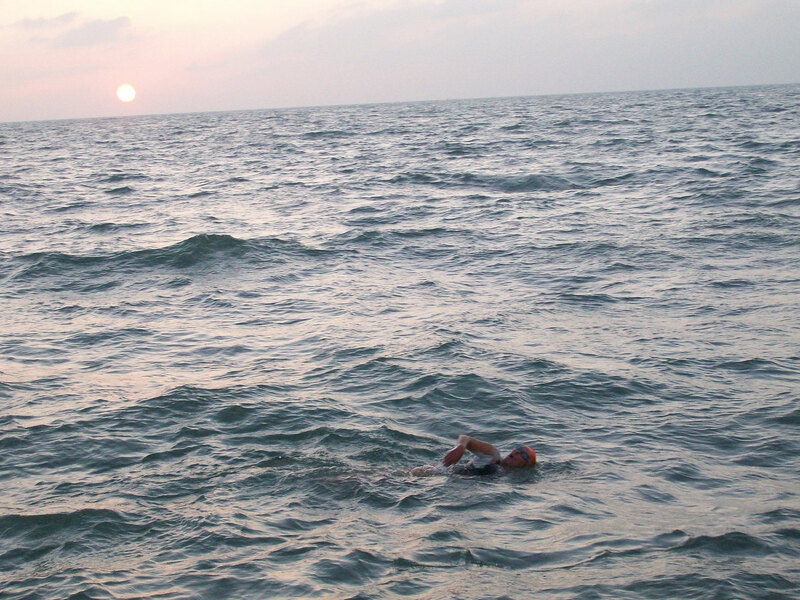 Your swim will be remembered in the annals of Channel swimming as a true epic. Only a few days before Australian marathon champion Chloe McCardel (25) had done her successful double crossing in only 21 hours 48 min. (after not being able to finish the second leg last year) – the beauty of determination and speed and the beauty of determination and persistance!